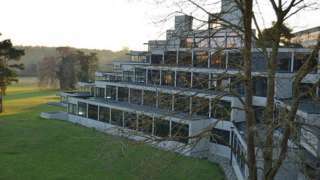 Sensitive information about 42 students was emailed to nearly 300 undergraduates. That's it for another week on Norfolk Live so it's goodbye from us. Scroll down to see the news and sport we've covered today, including the Take That concert last night. Enjoy yourselves if you're going to see the boys tonight! Weekend weather: Hot, hot, hot! Tonight will see a dry night with variable amounts of cloud and some clear spells. Feeling warm with light winds. Then Saturday will be fine and dry with spells of sunshine and temperatures inland around 28C (82F). It'll be a few degrees cooler on the coast with an on-shore wind. Then Sunday will be even hotter, with a possible high of 30C (86F). The sea breezes will make it more comfortable on the beach where temperatures will again be a few degrees lower. And if you think it was finished there, Monday will be hotter still! With inland highs of 32C (90F), there could be a few isolated thundery showers too. Find the weather where you live on the BBC Weather website. That's the new name for the League Cup, in case you're wondering. Norwich City are at home to Swindon in the week commencing Monday, 7 August. The full draw took place in Bangkok, amid some confusion on the competition's live stream which showed Charlton drawn against two clubs at one point. A47 Norfolk westbound severe accident, between A148 Nar Ouse Way and A17 affecting Setch Road. A47 Norfolk - A47 in King's Lynn blocked and queuing traffic westbound between Saddlebow Roundabout and Pullover Roundabout, because of a multi-vehicle accident. Congestion on A10 Main Road to the Setch Road junction and to the Station Road junction. The sentencing of a man from Norwich for the murder of his "on-off partner" has been adjourned until Monday. As we've been reporting, Joe Storey, 27, of Murrells Court, was found guilty yesterday of beating 32-year-old Kerri McAuley, pictured below, to death. Her body was found in her flat in Southalls Way, Norwich, on 8 January. Storey was due to be sentenced today but he did not appear at the hearing. There were no incidents at last night's Take That concert in Norwich, police said. Heightened security measures were put in place at Carrow Road and will be again at tonight's second concert. There was an increased police presence after the recent terrorist attacks in Manchester and London. Close to 30,000 people are expected to attend tonight's sell-out gig. Take That's two Norwich dates are part of their Wonderland tour. King's Lynn Town have bolstered their midfield ranks with the addition of Craig Parker. The 32 year old joins the Linnets from AFC Sudbury, having scored 42 goals in 99 appearances over the last two seasons. Parker's previous clubs include Chelmsford City, Leiston and Needham Market. Our reporter Mariam Issimdar was at the Take That concert at Carrow Road in Norwich last night - and looking at the video she's just posted on Twitter, was close to the action. Send your photos and videos to us by clicking "Get involved" above. 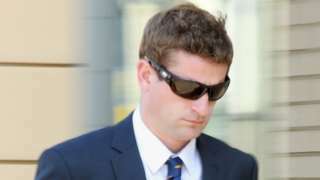 Henry Bett will serve 42 months in jail for causing death by dangerous driving in a tractor. The son of Norfolk's former police and crime commissioner (PCC) who killed a woman with his tractor has been jailed for 42 months following a retrial. Henry Bett, 28, son of Norfolk's former PCC Stephen Bett, was found guilty ofcausing the death of 43-year-old Rebecca Brown by dangerous driving at a retrial at Cambridge Crown Court this month. He had been jailed for three-and-a-half years in 2015 but the conviction was quashed at London's Court of Appeal in September 2016 and a retrial was ordered. The jury at this month's retrial found Bett guilty by a majority verdict of 10 to two and he was sentenced at Peterborough Crown Court today. Bett, of Hall Lane, Thornham, near Hunstanton, was also given a five-year driving ban. Tens of thousands of people enjoyed seeing Take That in Norwich last night - and it seems the boys themselves had a good time. Gary Barlow and Mark Owen took to Twitter after the concert at Carrow Road to say thank you to the "brilliant crowd" and how much they enjoyed their first visit to the city. They will be back on stage tonight for their second Norwich date as part of the Wonderland tour. Greater Anglia has said extra trains will be running tonight over and above additional services after last night's "chaos". As we've been reporting, Take That fans faced misery last night after they left the concert at Carrow Road. There were reports that the station was "rammed", trains were "packed solid" and little information was given to passengers waiting at Norwich Station. Greater Anglia said there were additional services, last trains were re-timed and trains were made longer but the numbers were higher than expected. Kerri Worrall, from the rail company, said: "We knew the trains were going to be very busy but the crowds were very large. "We will source additional trains for tonight and we will see if we can find another train to go to from Norwich to Ipswich. Buses will be on standby again. "Our team at Norwich station will be doing everything they possibly can to manage those crowds well and look after people and make sure they get people away from Norwich station as quickly as they possibly can." Norwich City have added to their back four with the signing of German centre-back Christoph Zimmerman. The 24-year-old joins from Borussia Dortmund II on an initial two year deal, following former boss Daniel Farke, who left the German side for the Canaries last month. Zimmerman captained Dortmund to the best defensive record in the league, and will now look to make an immediate impact on a Canaries team that failed to establish a regular central defensive pair last season. Take That fans who had traveled to Carrow Road faced "chaos" as they headed home. Greater Anglia had retimed its last services to Cambridge, Lowestoft, Sheringham, Ipswich and Great Yarmouth. But as concert-goers poured out of the football stadium, Norwich Station became full. Adrianne Adams, who was at the station, described it as "unprepared" and "shambolic" while Lindsay Sams said it was "not good enough". Cherese Bradnum, who lives in Ipswich, said the concert was "absolutely amazing" but the 23:25 train back home was "rammed". She said: "We couldn't get anywhere to sit, my daughter had to sit in the luggage compartment. "There was just disbelief that Greater Anglia hadn't thought about the numbers of people coming out of Carrow Road. "It was a case of, we are here, we had a brilliant night, we are not going to let it ruin our night, but people couldn't believe it." The BBC has contacted Greater Anglia for a comment. It was a night to "never forget" as more than 30,000 people watched Take That in Norwich last night. Gary Barlow, Mark Owen and Howard Donald entertained the crowds with their latest hits as well as all-time favourites as they performed at Carrow Road as part of their Wonderland tour. Our reporter Alex Pope, who was there, said: "The concert was amazing, just brilliant. A visual treat with some amazing choreography and staging." There was heightened security around Norwich City Football Club's stadium following the recent terror attacks. They will be playing there again this evening. A man who was found guilty of murdering his "on-off partner" by bludgeoning her to death will be sentenced today. 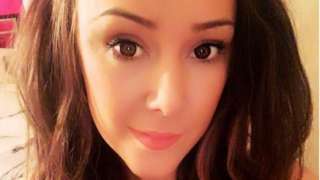 Joe Storey, 27, had denied murdering Kerri McAuley, 32, who was found dead at Southalls Way, Norwich, on 8 January, but admitted manslaughter. Storey was high on cocaine when he punched mother-of-two Ms McAuley after a row about an ex-girlfriend. Ms McAuley had 19 separate injuries to her head and face. The jury at Norwich Crown Court took less than an hour to find Storey guilty. 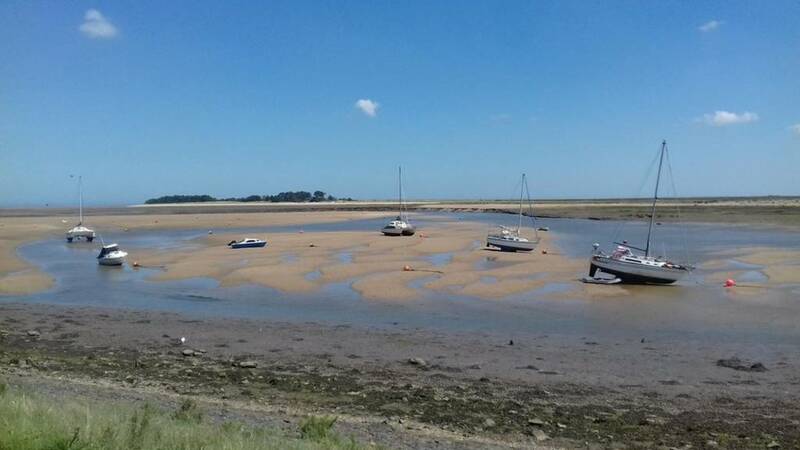 Today will be sunny across the BBC East region with temperatures reaching 21C (70F), although it will feel cooler on the coast. There will also be high pollen and UV levels. It's be followed by another warm night with temperatures dipping to 16C (61F). For a fuller forecast where you are, visit BBC Weather. Hello and welcome to our live updates. We'll be bringing you all the latest news, weather, travel and sport until 18:00. Joe Storey will be sentenced for killing Norwich mother Kerri McAuley later today. A jury found the 27-year-old, of Murrells Court, Norwich, guilty of murder yesterday. We shall also bring you the latest news on the Take That concerts at Carrow Road. Were you there last night? How was it? Let us know by clicking "Get involved" above. First, let's take a look at the weather. Joe Storey was high on cocaine when he punched the mother-of-two after a row about an ex-girlfriend.